Kicking off “Celebrate Shoreline,” an annual birthday party with festivities around the city, the 12th annual North City Jazz Walk (NCJW) takes place on Tuesday, August 14, in Shoreline. The family-friendly event, which promises to entertain with food, music, and fun, begins on 15th Ave NE, with five blocks of the street closed to automobiles, allowing attendees to stroll from one venue to another. Arrive at 6pm to indulge in a wide variety of “Jazz Bites” (and beverages) served by local businesses, then spend the rest of the evening strolling among the 10 venues, where each band will play three 50-minute sets between 6:30pm and 10:15pm. This year’s lineup of 10 bands includes returning favorites as well as some new talents. 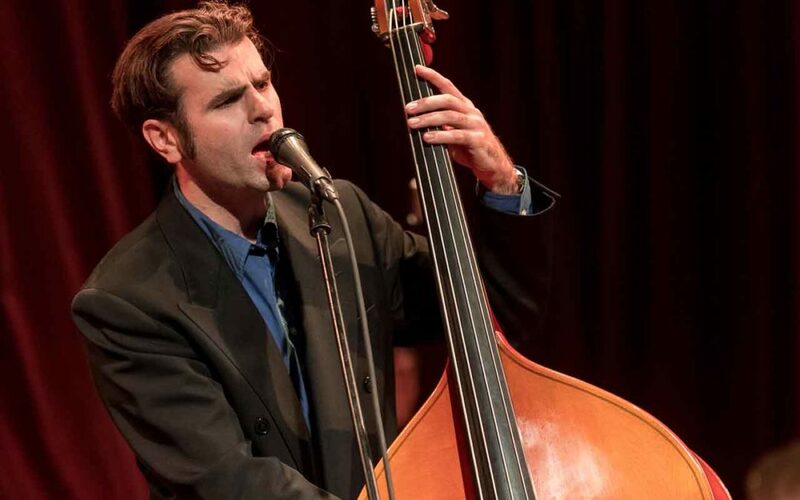 NCJW welcomes back the ever-popular vocalist Greta Matassa at Easy Monkey Taphouse, gypsy jazz favorites Pearl Django at North City Water District, Hook Me Up at Frank Lumber Delivery Store, and the Seattle Women’s Jazz Orchestra at Dorian Photography. Other acts include recent Golden Ear Award winners, Birch Pereira & the Gin Joints at Vesper, and Dmitri Matheny Group at North City Bistro & Wine Shop. Vocalist Jacqueline Tabor performs with her band at North City Lounge; vibist Susan Pascal and her quintet, along with Pete Christlieb, play at Industrial Air; Mercy Merci performs at Easy Monkey Taphouse; and Shoreline Community College Youth Jam Session with Chas Rinee take the stage at Bethel Lutheran Church. Although two of the outdoor venues are open to the public (Frank Lumber Delivery Store and Dorian Photography), tickets will allow you full access to all 10 venues. Tickets are $20 in advance and $25 on the day of the event. The Jazz Walk was started in 2007 to bring live jazz music to Shoreline and to promote North City businesses. It has become the place and event for live jazz in Shoreline. In 2009 the event became a part of Celebrate Shoreline, a week of activities ending with a festival at Cromwell Park that honors the 1995 incorporation of the City. The North City Jazz Walk is presented by the North City Business Association in partnership with the City of Shoreline, the Shoreline-Lake Forest Park Arts Council, North CityWater District, and through in-kind contributions from Ronald Wastewater District and Uniquely Northwest Publications. Tickets are $20 in advance, $25 day of, and are available through Brown Paper Tickets. For more information about the North City Jazz Walk, visit northcityjazzwalk.org.